Do you have a tight budget? Are you looking for impressive quality in the vehicle you want that won’t break the bank? 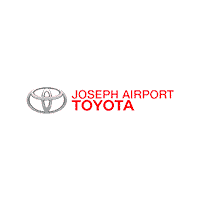 If so, you need to see our team at Joseph Airport Toyota near Dayton, OH today so you can take a look at our selection of vehicles that are under 15k. Stop by and make the right choice for your commute. What Makes Your Budget Work for You? There’s no denying the need to make sure you have a reliable vehicle that will allow you to experience quality on a daily basis while staying within your budget. You don’t want to overpay, and we don’t want you too either. Take a test drive in one of our vehicles under $15,000 and see how comfortable you can be in the vehicle of your choice as you drive on the roads in Dayton, OH. We even have a selection of Certified Pre-Owned models that are backed by a warranty to give you peace of mind. Ask us about our YES Plan for qualifying vehicles too. Stop by our dealership today and see the available selection of vehicles we have in our inventory that are under $15,000. We have a great selection of vehicles that will fit your lifestyle and your budget. Our team will be glad to take you for a test drive in one of the cars, trucks, SUVs, or minivans so you can decide which pre-owned model is the one that’s right for you. We will gladly take you for a ride in a variety of models so you can narrow down the features and options that are most important to you and your family. What would make purchasing a pre-owned model easy for you to take home? If your answer is “having the right deal” then you need to see our team at Joseph Airport Toyota today. We have a large selection of models to choose from and a variety of financing options that will meet your needs no matter what your credit situation may look like. Take a look at the selection of vehicles we offer, then choose the deal that lets you drive home in the car of your dreams while giving you the low monthly payments you deserve. We have the best selection of vehicles priced under 15k for you to choose from. We have flexible financing programs that meet almost any budget. We also have the service center that can help you keep your vehicle on schedule in order to have it serviced right and adhere to the maintenance program for the model you choose. Most of all, we have the team of experts you want on your side that will work hard to help you find the car of your dreams while saving you money. Come in and see our team today and drive away in the vehicle that will make you want to drive while providing you with an excellent drive for years on down the road. With so many vehicles under $15k to select from, which model will you choose? 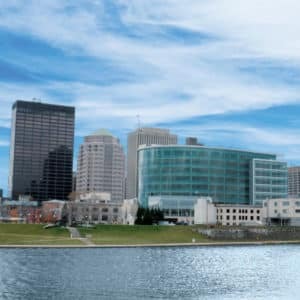 No matter which model you pick, you are sure to have fun when you drive to Downtown Dayton for a day of entertainment, shopping or dining. Most of our used models are eligible or the YES Plan so you have peace of mind as you head into the city for your next night on the town.